From sports injury to auto collisions to broken bones, rehabilitation massage encourages circulation and relaxed muscles, which allows oxygen and other nutrients to reach your tissues and vital organs better. This means your injured areas of the body will experience an increase in the very substances required for proper healing. The result is an accelerated rate of recovery. Reduce inflammation and stiffness while increasing range of motion with a therapeutic massage for injuries. By increasing the circulation in the muscles and to surrounding areas, a well-trained massage therapist can break down adhesions, which are thick knots of muscle fiber that have become continuously contracted. When an area of tissue is injured, the surrounding muscle contracts around it to protect it. This constant contraction prevents blood and lymph from flowing to the cells to replenish them. This causes waste products to build up in your tissues. Injury massage will subsequently restore the proper flow and help flush lactic acid and other metabolic waste from your muscles. If you’re in pain, an injury massage from Barkly Massage & Chiropractic in Bellingham could be just what you need. Don’t spend another day in pain or another night missing sleep due to discomfort. Successful recovery from injury demands self-care. 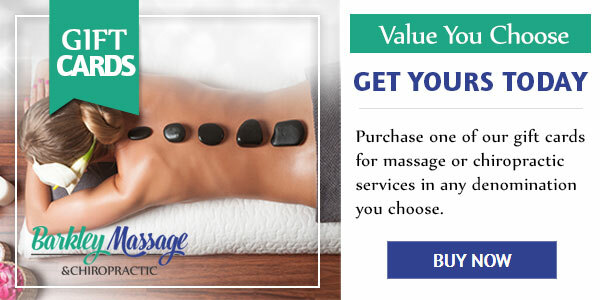 Massage allows your body to restore its optimal way of functioning. 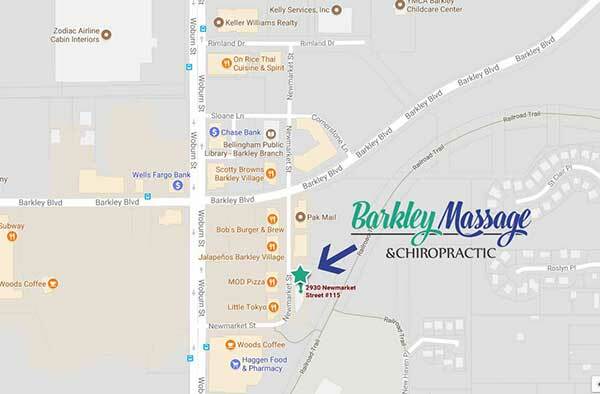 To see what therapeutic massage can do for you, give Barkley Massage & Chiropractic a call today.